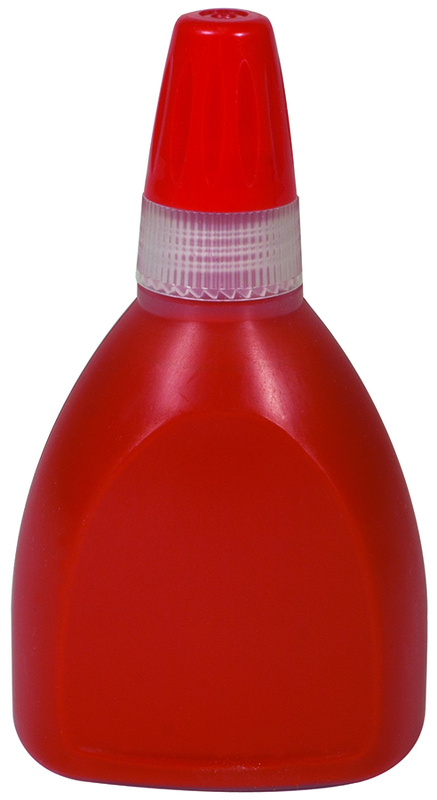 Pre-Inked Stock Stamp "RECEIVED WITHOUT CONTENTS" (RED) - Impression Size: 1/2" x 1-5/8". The laser engraved rubber makes this stamp strong for many years of use. Makes approximately 50,000 impressions before needing to be re-inked. 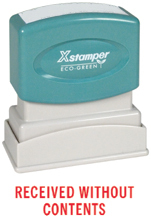 Use Xstamper Refill Ink only to refill your stamp.